Fans of Clayne Crawford may well be aware of details about the actor’s life but not much is known about Sunshine Kiki Brown, the woman behind his success. More than just a celebrity spouse, Brown is also an entrepreneur/businesswoman who has done well for herself. Despite being the wife of a statuesque figure, Sunshine prefers to live under the radar, shying away from public events and paparazzi. Here are interesting facts you should know about shoe designer and homemaker. Sunshine is an ultra-private person and thus there is little or no information about her parents, siblings, family background, early life, and education. However, our investigations reveal that Sunshine Kiki Brown is a Texan, born on December 14, 1980. It is also known that she was born and bred in Houston. While it is uncertain if Sunshine had the traditional education, we do know she earns a living as a successful businesswoman. As an entrepreneur and fashion lover, she is a shoe designer who has an established business in the United States. Just like her personal life, Sunshine has kept details of her professional life under the radar. But given how long ago she began operations in the fashion industry, it is safe to say she is a successful businesswoman. Sunshine Kiki Brown is the better half to actor Clayne Crawford. It is uncertain when and how the lovebirds met, but going by public records, their love journey dates back to 2004 when they officially tied the knot in a private ceremony surrounded by family and close friends at an undisclosed location. 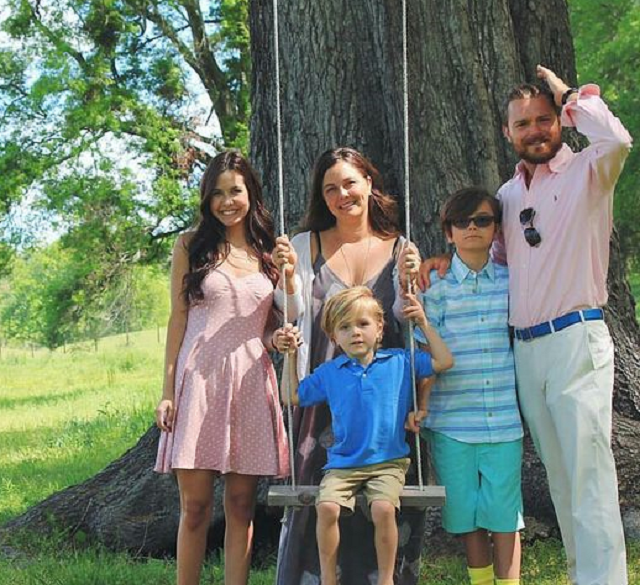 Sunshine Kiki Brown and Clayne Crawford’s union has produced two sons Joey and Colt Crawford. The couple has apparently found love in each other’s arms and is going strong with no signs of discord in the nearest future. Besides her business, Sunshine is a homemaker who has tried to balance her professional and personal life. A supportive/doting wife and mother, her actor husband has at various times credited her with keeping their family together over the years. 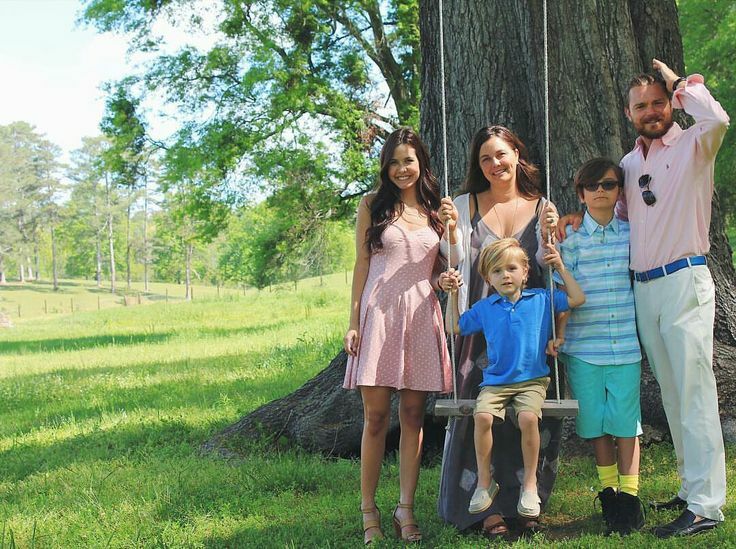 Sunshine and her family live happily on a farm in Birmingham, Alabama. Brown also has a daughter Abby Brown whom she birthed as a teenager in the year 1998. Abby is a product of Brown’s relationship with her ex-boyfriend whose identity is unknown. After her marriage, actor Crawford adopted Abbey and has also been an amazing parent to her. It was Sunshine’s romance with Crawford that flung her to the limelight. Prior to the actor, there are no details regarding Brown’s past relationships. On the other hand, her famous husband has always made headlines with his past relationships. Before finally settling down with Sunshine Kiki Brown, Clayne Crawford was previously linked to actress Sunny Mabrey. Although Crawford and Mabrey’s romance grew to an engagement, the former lovers eventually parted ways. Sunshine Kiki Brown is not just a celebrity spouse but also doubles as a celebrity parent. Her son Colt apparently inherited his father’s acting genes and is gradually towing the same career path. Interestingly, the duo has even shared onscreen credits. Clayne Crawford and his son Colt featured in the 2018 sci-fi movie Tinker. Unlike his father, Colt is still a budding star but with supportive parents like Sunshine and Clayne, he is undoubtedly a star to watch out for. Sunshine Kiki Brown’s exact salary figure and earnings are unknown due to her preferred low key lifestyle. But being the wife of a famous actor, she is presumed to be living a comfortable life. While Brown’s net worth is unknown, her husband Crawford has amassed a sizeable fortune from his career. His net worth is currently estimated at $4 million. Sunshine Kiki Brown stands at an average height of 5 feet 6 inches, complemented by about 56kg weight. Though the rest of her body measurements are unknown, Sunshine’s physique shows she has maintained a good body even after three kids. A health and fitness enthusiast, Brown does not just work out regularly but also tries to live a healthy lifestyle. Given her ultra-private lifestyle, it is no surprise that Brown is absent in social media circles. Though she has an almost dormant Facebook account, our investigations reveal Brown is inactive on other popular sites such as Instagram and Twitter. On the other hand, her actor husband who is already used to publicity is quite active on social media. Crawford who adores his wife and family often shares pictures of precious family moments with his fans on the internet. As earlier mentioned, Brown is a homemaker who loves to spend quality time with her family. If her husband’s social media posts are anything to go by, then it is apparent that Sunshine loves to vacation with her family at various tourist destinations across the globe.